R.K. Simpson lives in Alexandria, Virginia, with his wife Patty. 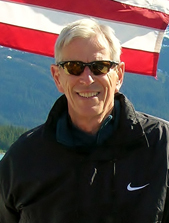 He is a graduate of Dartmouth College and a veteran of the Marine Corps and the war in Vietnam. He served as a diplomat in several of our embassies in Europe and Africa for over twenty years. Upon retiring from the government, he worked as a pediatric nurse for fifteen years. He has three adult children. 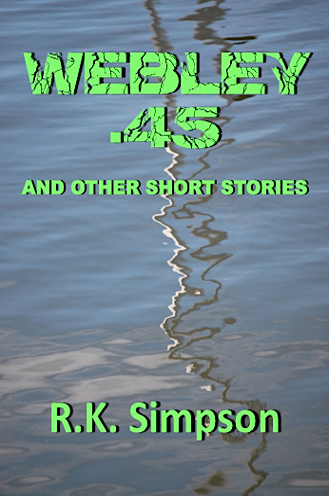 There is real diversity in the short stories that make up the Webley .45 collection. A young man, who was sexually abused as a boy, dreams of killing his assailant. The confession of a black man who has "passed" as white for much of his life, and a gay man struggle to be honest with his partner, his father, and himself. On the lighter side, there are endings that surprise us and the chronicle of a practical joker. Most importantly, these diverse tales are brought to life by unique and credible characters. You may even find that one or two of them "will drift like phantom companions along the edges of your mind" long after you meet them in this captivating book.